Is it really possible to feed a family of 4 on $50 a week? 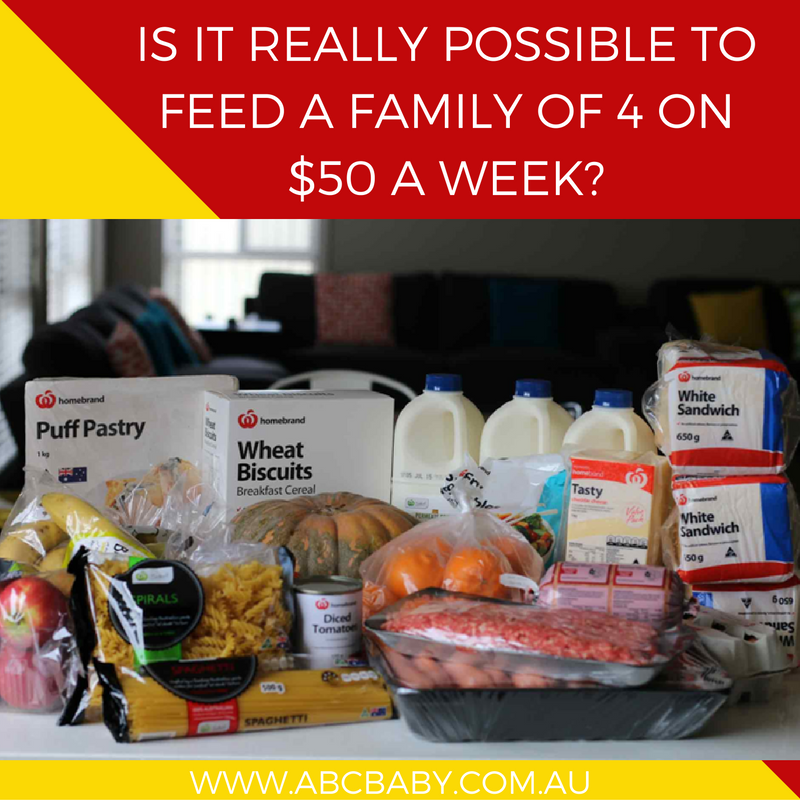 Is it really possible to feed a family of on 4 for $50 a week? My family spends about $280 a week including cleaning products, toiletries etc for 2 adults and 2 children. I was curious and sceptical to see if we could survive on $50 a week so I decided to set myself the challenge. Each day had to include fruit and veggies, can be in baked goods or added to meals etc. I had my task set out for me! I sat down and worked out a detailed plan of what each main meal would consist of as this would use up most of our budget. I came up with the following meals. Please remember they are not gourmet but they are still tasty. 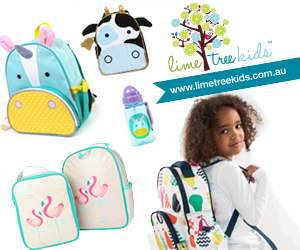 I then worked out our lunchbox, morning tea and afternoon items. Breakfast consisted of either Weet-Bix or toast and leftover Weetbix were used to make slices. Weekend breakfasts we had pikelets/pancakes one morning. Lunches were leftovers or sandwiches, basic fruit, apples bananas pears and baked snacks. Afternoon and morning tea either baked goods, veggie slice or pikelets. I purchased cheese, mince and sausages on sale and at the end of the week we had 1/4 block cheese left, 8 sausages and some bread and milk left, mainly because the tuna bake made for a couple of meals. It can be done. You can survive on the food and while it’s definitely not gourmet, it takes planning and organising but it can be done. We get that this won't be for everyone, no one wants to live on sausages and mince (although plenty of struggling families do). We also understand that not every family is the same and some families consist of teenage boys that will eat you out of house and home. Whatever your situation, you can save money. This is perfect for a family if you are in a tight spot perhaps your car has broken down, you are struggling to get your credit card debt down or you really want to go on that overseas holiday then this is a sure way to save some quick money. Meat generally gets marked down on Sunday nights. A lot of know name brands are fine and still taste great, although I would invest the extra dollar or two in frozen veggies as I found the home brand veggies mainly full of onion and ice water. If something is rotten or not right when you cut it take it back Woolies have a great refund policy, and on this challenge every bit of food counts. I would add yoghurt to the list. Although my kids got some calcium through milk, I still like them to have a yoghurt. You can also buy the large tubs of Greek yogurt and use in cooking as well, like this 2 ingredient Pizza base! You can save more by buying in bulk, and planning your meals a fortnight in advance. Plan your following week’s shop by anything you have left over in fridge so nothing gets wasted. Buy tin goods or pasta sauces when on sale. Look at anything you throw out with a $$$ value to it. For example, if you throw out 3 rotten apples think that is $1, you will soon stop wasting food and thinking of ways to use it up. Use the odd bunch or mark down section in your local supermarket. You can save even more by going to fruit and veggie market. 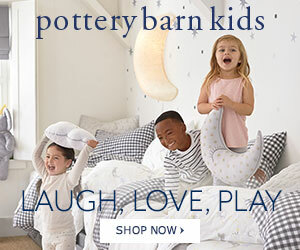 Kids don't have to miss out. A movie night with a 99 cent bag of popcorn is still a great treat. ALDI have great cake mixes for 79c, perfect to make if you have to take a plate of food somewhere. You can save more money by getting together with a couple other families and buying meat and other goods in bulk. Costco is great for this. I will definitely be using the occasional $50 weekly shop in future. I worked out that for us even if we did one week on one week off that our yearly grocery bill would go from $14,560 to$9880 with a saving of $4680 not bad really! We would love to hear how you budget to feed your family. It can be a big or small family, basic or bulk cooking. If you have something that works for you, why not let us know so we can share with all the mums out there. 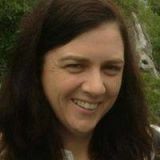 We love a bargain and we love saving you money, after all Australian baby Card was founded by a mum who simply wanted to find a way to provide discounts for other families, and after 12 years that's just what ABC does! ABC can save families thousands a year, sign up here and start saving today! I will definitely be using the occasional $50 weekly shop in future. I worked out that for us even if we did one week on one week off that our yearly grocery bill would go from $14,560 to $9880 with a saving of $4680 not bad really! Win a family pass to see Spot live!